The Department of Microbiology was initiated in Life Sciences, along with other Departments like Biotechnology and Environmental Sciences in 2004. The level of teaching initiated was at Undergraduate to begin with and subsequently at Postgraduate level (academic year 2007-08). Again like other Departments, the programs run are affiliated to University of Pune. Microbiology is the hub of the “Cutting Edge” sciences like Biotechnology and has made rapid strides, beginning from late 1970s, with Epoch-Making spurts in 1980s and 1990s- both in basic and applied fields. It may also be mentioned that it is the much sought after science since 1940s when it was first introduced in India at Mumbai. The faculty is very young, qualified and active. The young faculty desires to work towards higher qualifications. In a short time span, the Department has established its laboratories and requisite infrastructure and has also made an excellent beginning towards an in-house library with relevant amenities. Microbiology is at the frontier of research in life sciences and gives its practitioners a chance to serve humanity through various applications seen in Agriculture, Genomics and Pharmaceuticals to name a few. The department therefore attracts a large number of students for its UG and PG courses looking at the vast scope of the subject. The student strength of the department has grown dramatically over the last few years and the department has over this period acquired the necessary infrastructure and inventory required to cater to this growing demand. The focus of the department in the coming years would be to strengthen its research base and develop collaborations with institutes of national and international repute in order to inculcate research methodology amongst its students. The Department of Microbiology is young and budding. It was initiated in the academic year 2004-05 and has since developed into a place where students and staff are encouraged and motivated to improve their curricular, co-curricular and extracurricular skills. The entire teaching staff at the department of Microbiology is qualified as per UGC norms. 2. The department is run with the help of qualified and dedicated staff (Teaching:08 ; Non-teaching:05). 3. The department comprises of three well equipped laboratories, one class rooms, one staff room and separate provision is made for facilities such as preparation of practicals, cold storage, and incubation facilities. 4. Post graduation students in their last semester undertake research projects in collaboration with national recognized institutes. 5. A Microbiology association “Microbiomics” is in existence, and runs with the objective to develop the leadership and creative qualities of the students through poster competitions, magazines, articles etc. 6. Our past students are well placed at reputed universities for higher studies. Some of our past students have cleared NET/SET examinations and are pursuing either doctoral research or are employed as lecturers. The Department of Microbiology is housed in a separate building with a total area of 40,000 sq. ft. The department houses a staff room, three well equipped laboratories, one class rooms, computer laboratory and a separate departmental library. Soft skill program for M.Sc. II students is implemented throughout the year. Dr. Mrs. Suneeti Gore ,Asst. Prof. , M.Sc., Ph.D., D.H.M. 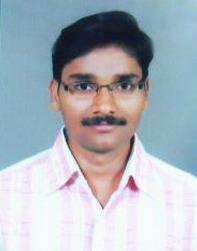 Dr. Shivaji Waghmare,Asst. Prof. , M.Sc., Ph.D.
FDP on Incremental Learning by Dr. Preeti Mulay and Mrs. Aparna Vaidyanathan.